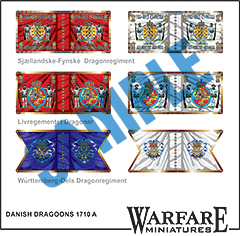 Clarence has been very busy completing a commission for a customer which we are now in a position to put on general release. 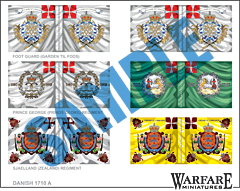 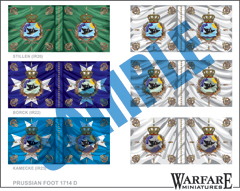 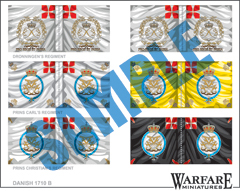 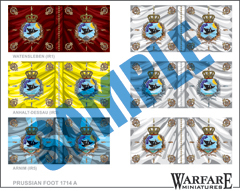 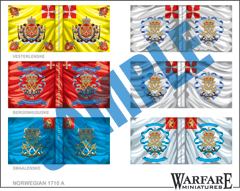 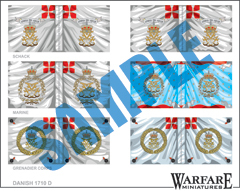 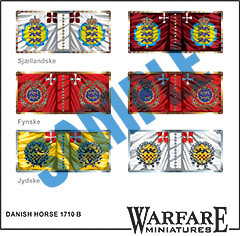 The compliment our existing Prussian and Danish flags for the WSS/GNW period. 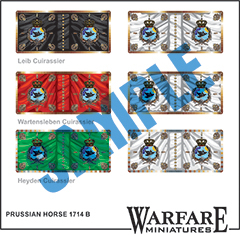 The Prussian designs are from 1710 onward. 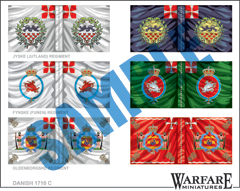 Some flags are conjectural but most have drawn on existing sources for detail. 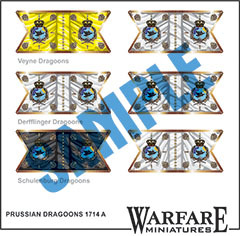 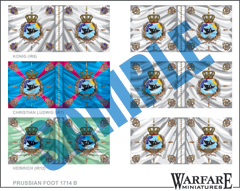 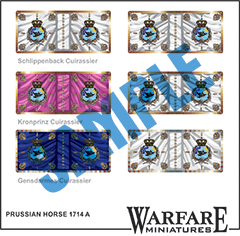 We now have five sheets of Prussian infantry flags, two of cuirassiers and two of dragoons. The Danes have four sheets of infantry, two of cavalry and one of dragoons. 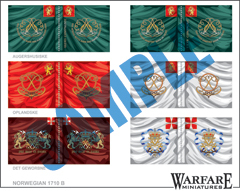 The Norwegians have two sets of infantry flags. 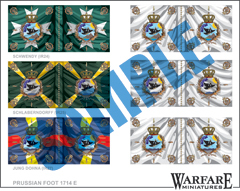 Like all of our flags these can be printed in sizes to fit any collection and for any scale of models.